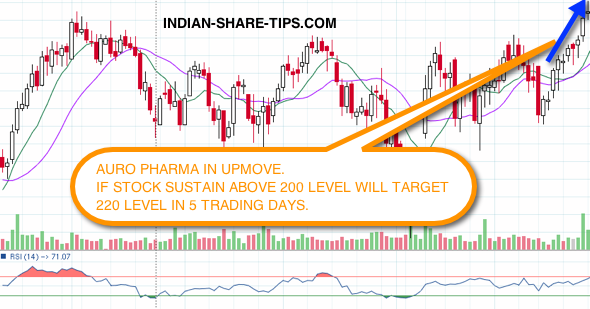 Aurobindo Pharma chart analysis shows that the stock has come in bullish hands post crossing the 200 mark. Now the strategy to trade this stock is to be long in this stock above 200 level and see it attaining level of 220,250,300,400,475 in a matter of few trading days and if it reverses below 200 level than one can short sell for tgt 195 and below levels. Do remember to check our best intraday tips and delivery stock tips here.